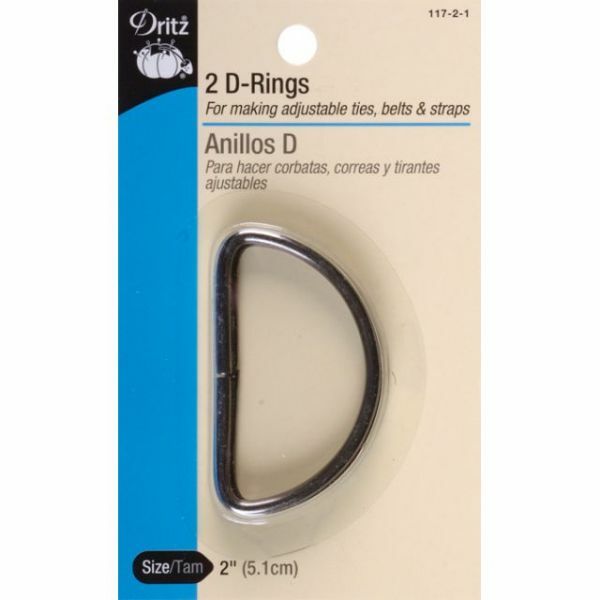 Metal "D" Rings - DRITZ-Metal D Rings. 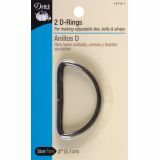 Metal D Rings are adjustable metal rings that can be used to make ties, belts, straps, overalls, carry-on totes, travel bags and purses. This package contains four 3/4in/1.9cm rings. Available in a variety of finishes: each sold separately. Imported.